On Wednesday, Congressman Henry Cuellar (D-TX) issued a statement calling Trump’s wall a 14th century solution to a 21st century problem. Cuellar denounced the plan, claiming that the move damages bilateral relations with Mexico. Cuellar’s district includes the border city of Laredo, Texas, an area often described by public officials as being rich in international trade. While manufacturing plants and factories on both sides of the border provide a constant flow of trucks in and out of the country, the area is also one of the main smuggling corridors used by the Los Zetas Cartel. Laredo is immediately north of Nuevo Laredo, the Mexican city that is considered the home base of the Los Zetas. The hyper-violent criminal organization has set itself apart for its ruthless executions that include beheadings, dismemberments, and other gory methods. The entire city of Laredo lacks any form of barrier, fencing, or other means of keeping smugglers or cartel operatives from crossing the river and entering the city. 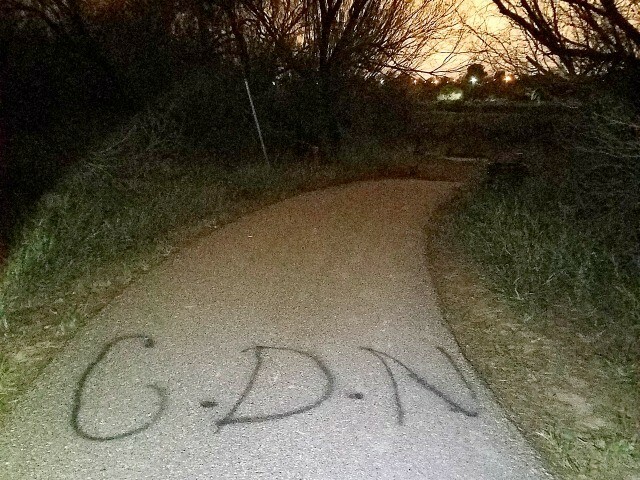 Most recently, Breitbart Texas visited the municipal park, Chacon Creek, where members of the Los Zetas cartel have tagged the area with the ominous Z and “CDN”, which stands for Cartel Del Noreste. Chacon Creek is one area in Laredo that is not patrolled by local police nor sheriff’s deputies, even though it is a main smuggling corridor used by cartel operatives. The park has a ramp that leads straight to the waters of the Rio Grande and has no physical barriers. Breitbart Texas previously reported from that same park after getting exclusive video of when human smugglers tried to cross a group of migrants using makeshift rafts. The only reason the attempt failed was because the smugglers turned back after seeing the video cameras. 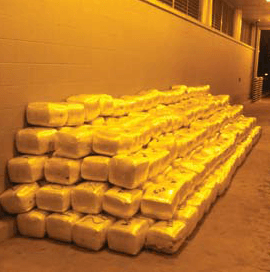 Breitbart Texas has reported extensively in Laredo about the smuggling practices used by the Los Zetas cartel. 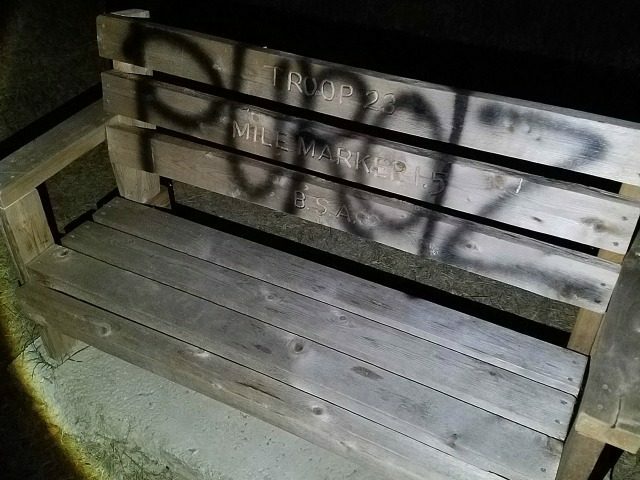 In the local park known as Father McNaboe, Los Zetas smugglers continue to run bundles of marijuana on their back from the waters of the Rio Grande into nearby neighborhoods. 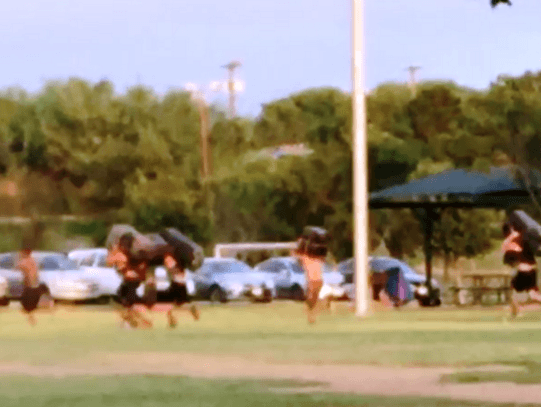 In 2016, Breitbart Texas reported on how teams of smugglers were running though the park while children were playing soccer in broad daylight. In response to the media exposure, the Webb County Sheriff’s Office set up a surveillance tower. However, the smugglers continue to use the area with minimal difficulties. As Breitbart Texas reported in September, a Texas man was able to park his vehicle in Father McNaboe Park, illegally cross into Mexico where he was shot by suspected cartel gunmen, swim back to Texas and have a friend drive him to a local hospital before law enforcement responded. Today, President Trump made the disappointing move of signing an executive order setting the wheels in motion for the potential construction of a wall along the length of the U.S.-Mexico border. This is a 14th Century solution to a 21st Century problem; and a decision I cannot support. As a law and order Democrat and a longtime advocate for tighter border security, I believe there are more effective and efficient ways to secure our borders, such as technologies currently deployed by the Department of Homeland Security including unmanned aerial systems, aerostats, video surveillance systems, and ground sensors; along with adding improvements to river access roads and increasing the number of Border Patrol agents on the ground. During his campaign, President Trump ran on the idea of having Mexico pay for the building of a wall. Now, he is calling for U.S. taxpayers to front the bill with a cost running into the tens of billions. Through this order President Trump is missing an opportunity to build on a great relationship that the U.S. and Mexico currently enjoy. Instead, the building of a border wall will divide our two countries that have long-standing and mutually-beneficial cultural and economic ties. American success in a global economy depends on cooperation, not isolation. I will continue to fight to make the concerns of border communities a priority for Congress and the country. I am committed to doing my part in Congress to develop effective and efficient solutions that will address immigration and secure our borders, while not adversely affecting the international trade and tourism that is vital to our economy.